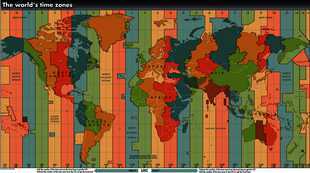 The world's time zones Arxiu. Europe’s TIME for a change Arxiu. The future generations who never lived with daylight saving time will no doubt find it hard to understand why twice a year Europeans felt it necessary to mimic time travel, moving an hour ahead every spring and an hour back every autumn. 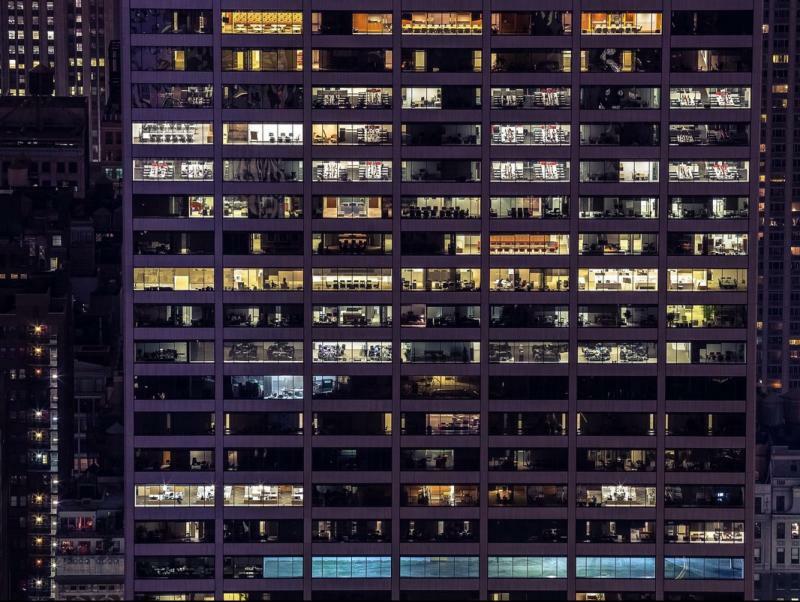 As the arguments about saving energy that led to the 1974 measure now make no sense, the European Commission has decided to go ahead and eliminate it, due to the results of a public consultation that was carried out in the summer that drew huge participation. The results of the poll, which crashed the website it was posted on, were clear: 84% of those who took part would like to see an end to changing the clocks twice a year. An unexpected 4.6 million EU citizens answered the polls, when other surveys, such as one on bird protection, mustered fewer than 600,000 responses. At the end of October, as usual the clocks were put back an hour, which is the change people find easiest to adapt to as it means an extra hour in bed, although the price to pay for returning to winter time are shorter evenings. 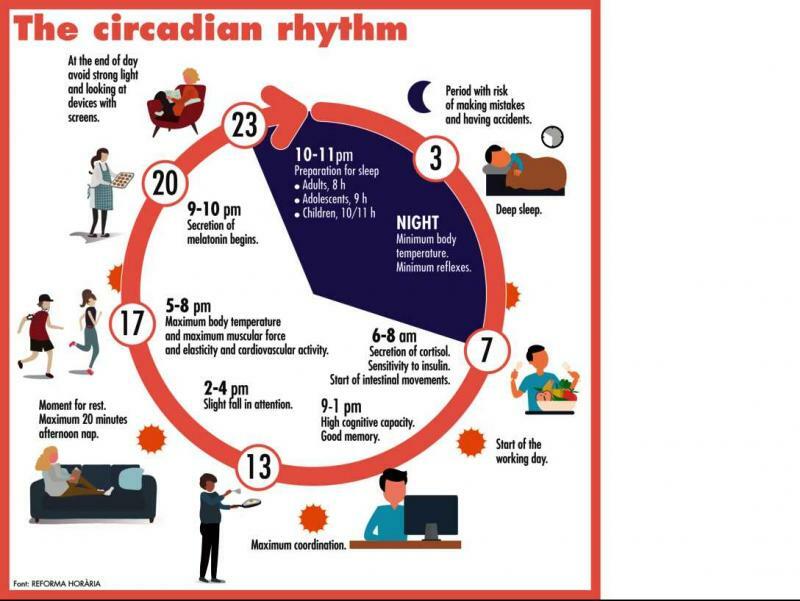 However, it is putting the clocks forward in March that seems to annoy most people, and evidence suggests it can even have negative effects on health (more on that later). 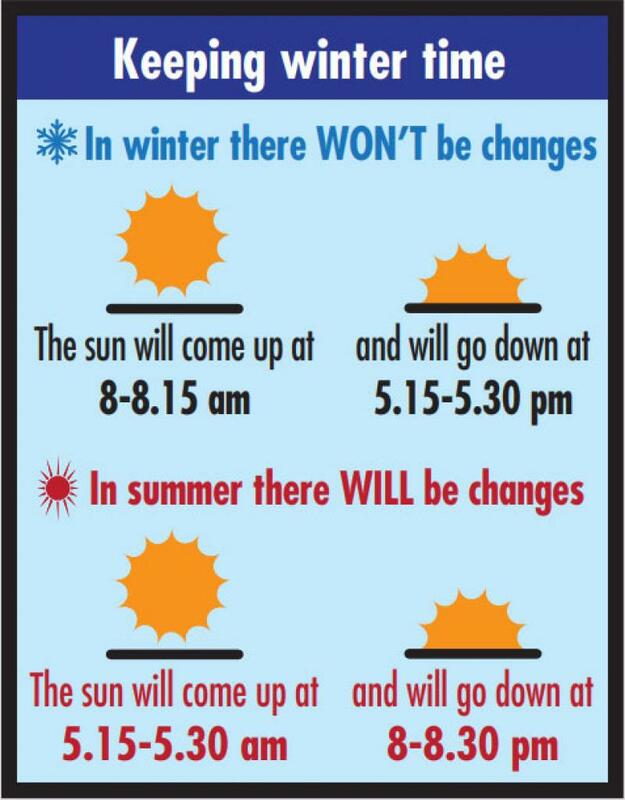 In getting rid of daylight saving time, EU countries will first have to decide if they want to follow winter or summer time, and they will be expected to reach some sort of consensus within geographical areas. The deadline is April 27, 2019. At the moment, there are three different time zones in the EU. Those furthest west – Ireland, the UK and Portugal – are on Greenwich Mean Time, which is an hour behind the time zone Catalonia is in. Spain – although not the Canary Islands – is in the same time zone as 16 continental member states, including France and Germany. Finally, Greece and eight other EU countries are an hour ahead of us, and two hours ahead of London. However, all member states follow daylight saving time and change their clocks twice a year. Fabian Mohedano, the main figure behind the Reforma Horària campaign to rationalise timetables in Catalonia, supports keeping winter hours, but he calls for it to be done in agreement with France, Belgium, the Netherlands, Luxembourg and also Algeria, which given their geographical locations should be in the same time zone as that of the UK, Portugal and Ireland. 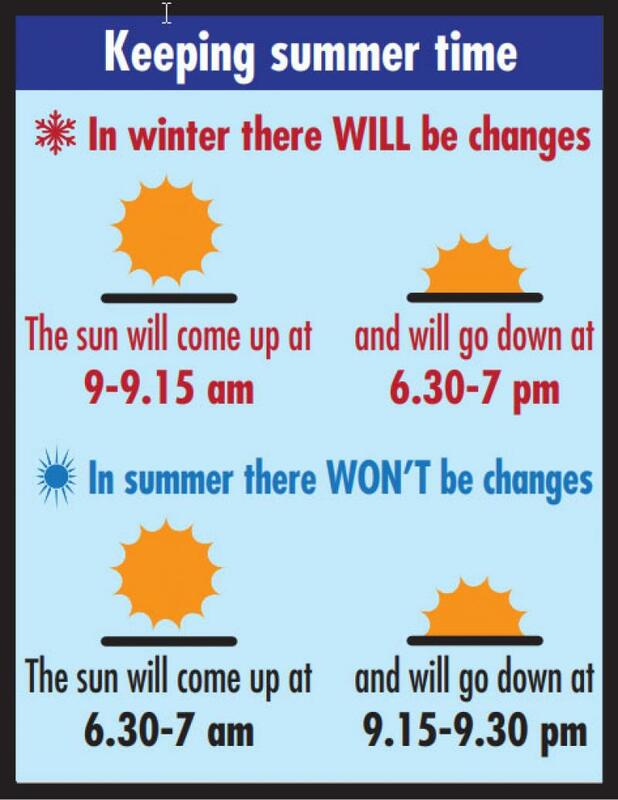 “Saying whether we want to stick with winter or summer time is the same thing as asking us which time zone we want to be in,” he says, adding that the most likely thing is that Germany will choose summer time, because it best matches its time zone. As for Spain as a whole, the executive in Madrid has announced that it will set up a committee of experts to make the decision. Meanwhile, the Catalan government, after consulting experts from Reforma Horària’s advisory council, has come down on the side of choosing winter time. “We hope that Madrid listens to us. We call for a reordering within the European framework, based on a summit of the different countries involved,” insists Mohedano. For Eva Gajardo, Secretary for Equality and Professional Training in the UGT union in Catalonia, maximum consensus and agreements are needed to avoid certain sectors or areas being disadvantaged. 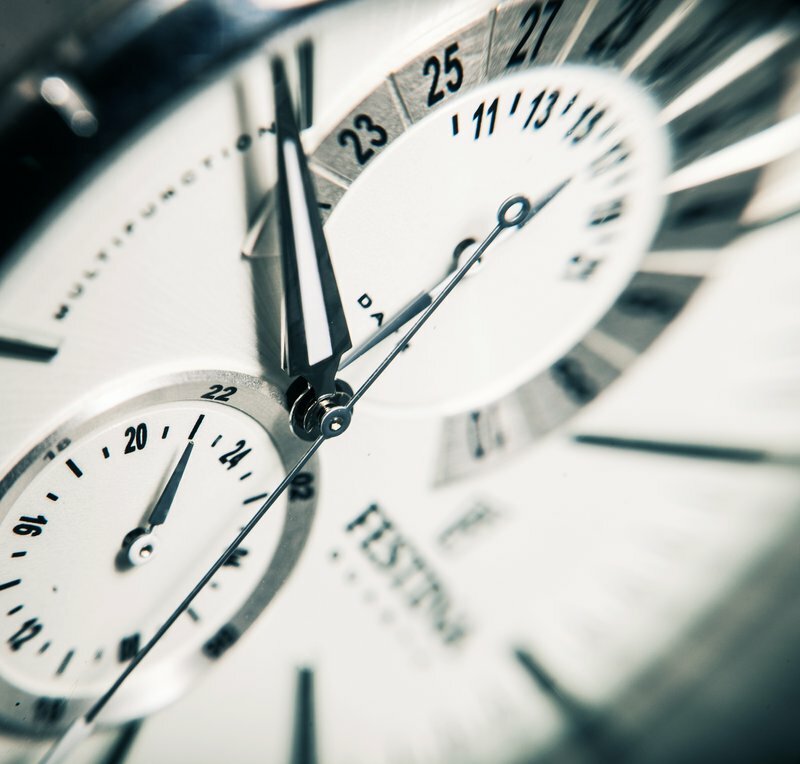 “The elimination of the twice-yearly time change is positive, but first an exhaustive study should be carried out taking into account the different indicators, and from here come to an agreed decision. We are in a very large geographical area and that means there are differences. 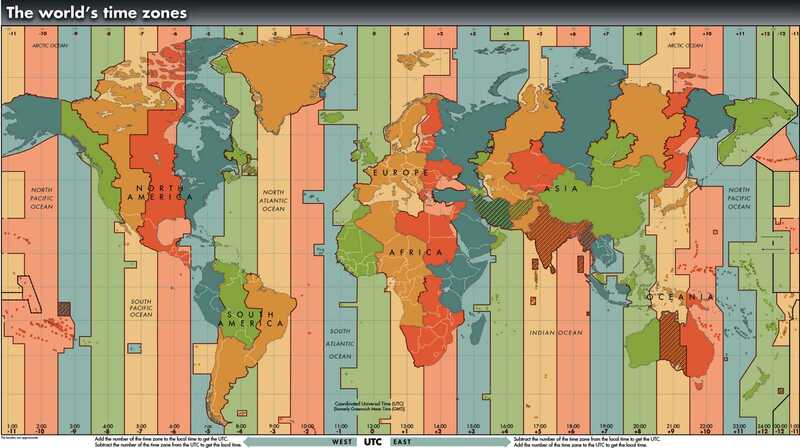 However, what is clear is that we are outside the time zone we should be in given our meridian. We should be in line with Portugal. That we should be subject to this hangover from the past is something that makes no sense,” she says. 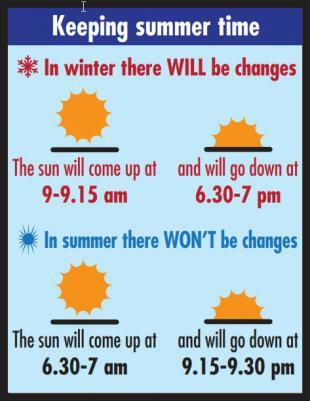 In any case, agreeing on which hour to keep from now on will not be easy, with the health sector, for example, calling to stick with winter time, while other sectors, such as tourism, in favour of keeping summer time. Above all, it will be important to note what our neighbours decide. “Imagine that only Spain moves to Portugal’s time zone, the question would then be whether business associations would accept the uncertainty of having a different time than the rest of Europe. We prioritise the health issue, but we will have to see what the government in Madrid chooses to do,” says Mohedano. Nor is it known what will happen with the Balearic Islands, where the preferred option is keeping to summer time, due to its geographical location. Who knows, perhaps in the future the common expression “one hour more in the Canary Islands” will be replaced with “one hour more in the Balearic Islands”. Should we decide to keep winter time, which is what chronobiologists recommend, the effects will be noted in the summer, with shorter evenings, affecting nocturnal festivals like Sant Joan, when the sun will set at 9pm instead of 10pm. 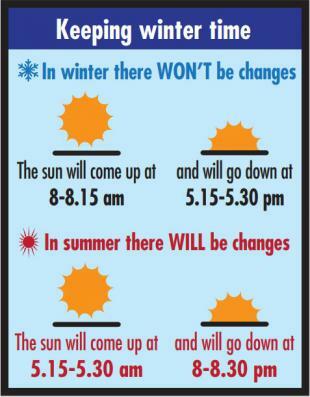 On the other hand, keeping summer time will affect things in winter, when evenings will be slightly longer, at the expense of darker mornings. The final decision is in the hands of the Spanish government. In 1974, with the oil crisis, industrialised countries saw the need to reduce their energy consumption and adopted daylight saving time to have more daylight in the mornings in spring and summer. Spain had already modified its timetable 17 times, between 1918 and 1949. The decision in 1974 was agreed among European countries, with the US also applying the measure. To avoid confusion in military operations, during the Second World War timetables were unified across Europe in-line with Berlin time. Even though it did not take part in the conflict, the Franco dictatorship followed suit. Once the war was over, Portugal and Great Britain returned to their original time zone (an hour less), while the Greeks did the same (an hour more in their case). For some reason, countries like France, Spain and the Benelux states continued to follow Berlin time.